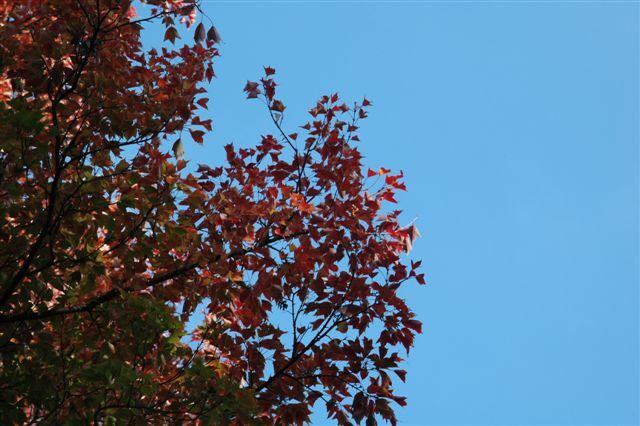 NATURAL HABITAT AND PREFERRED SITE: Red maples occur primarily in the wetter areas in the piney woods of east Texas. They grow in full sun for best results. IDENTIFICATION INFORMATION: They are an upright growing tree with dramatic, colorful, buds, fruit and fall color. FLOWERS AND FRUIT: During the winter the buds become large and bright red and showy. In February before the leaves unfold the pink to bright red stamens of the male flowers appear. Then the trees produce the clusters of brightly colored pink and red samaras. The fruit are paired samara with yellow or red wings. BARK: Smooth and gray when young but growing coarser in texture and color with age. FOLIAGE: Foliage is medium green in the summer but turns dramatic shades of crimson and scarlet in the fall. 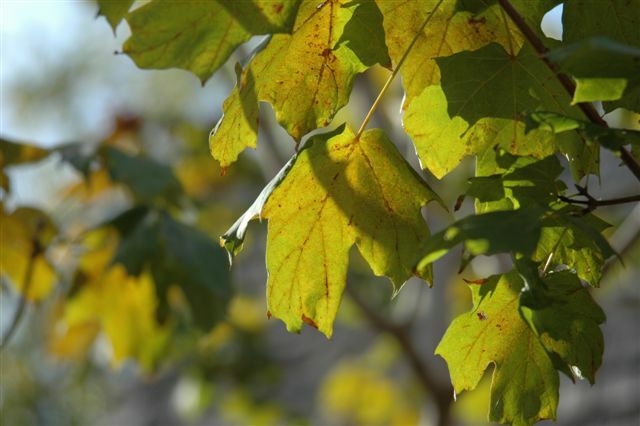 CULTURE: Red maple is easy to grow in deep soils, preferring sandy, acid conditions, but can adapt to clay soils as long as white rock is not near the surface. Success will be fair to moderate in the clay soils. 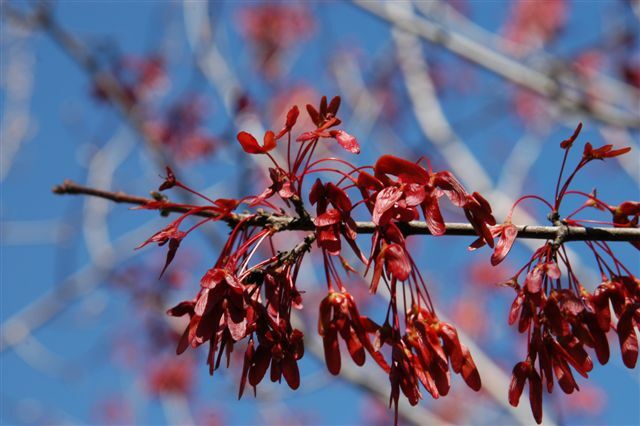 The easiest of the red maples to grow is trident red maple or trident maple. It is Acer rubrum var. tridens or trilobum. This tree has three lobed leaves instead of the typical maple leaf and it also turns golden yellow in the fall rather than red. This tree is very easy to grow in a wider range of soils. It should be used more. PROBLEMS: Scorching and chlorosis in the heavy clay soils and white rock. The tree is not highly drought tolerant, does better in moist soil. Stress from these environmental problems can lead to various insect and disease infestations. The Sick Tree Treatment will always help. PROPAGATION: Like all maples, propagation is primarily done from seed. Best results come from stratifications after collection in the fall. Place seed in moist sand or organic matter and store at 41 degrees for 30 to 160 days. 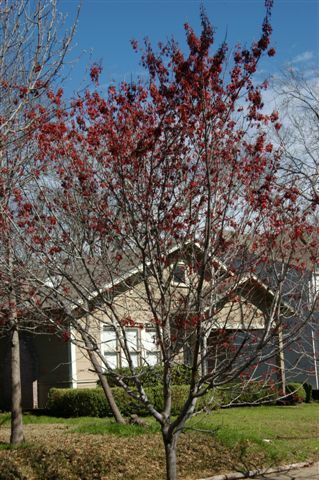 INSIGHT: This tree is a great choice for people in the sandy soils of east Texas and also the sandy bands of soil that run throughout the other parts of Texas. For more information on Drummond Red Maple check out this connection.